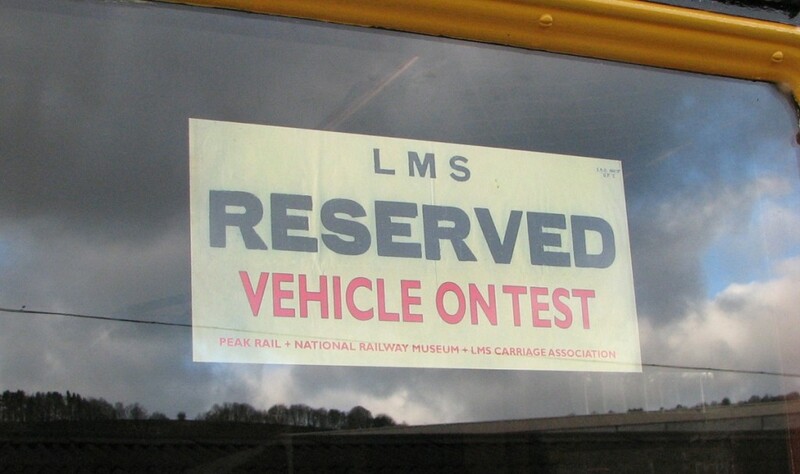 The week commencing Monday 15th February saw a long held ambition of mine realised – to ride in an LMS coach on part of the old Midland main line. 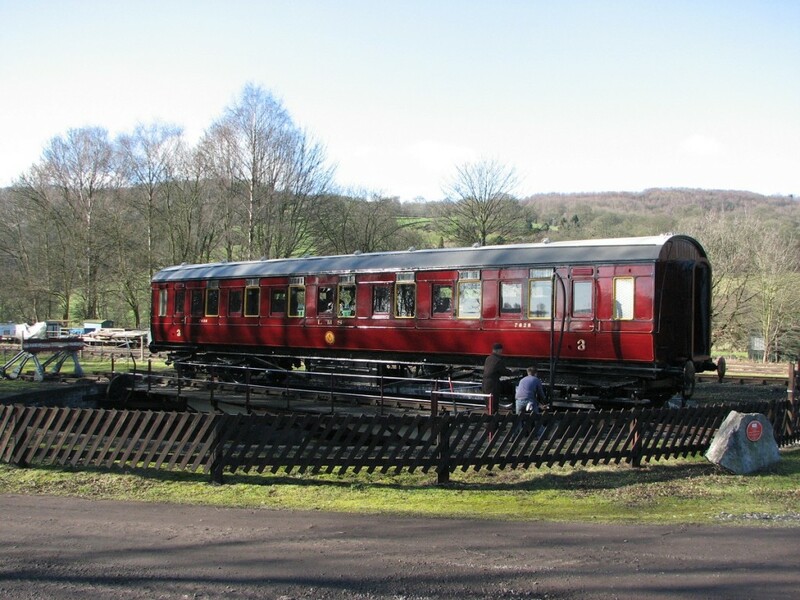 After many years of restoration by LMSCA members, the National Railway Museum’s 1925 Derby built LMS Third Open 7828 was shunted out of our shed, turned on Peak Rail’s turntable, and added to the rake in the platform at Rowsley South. After a few checks a short steam hauled run to Church Lane crossing took place, followed after return to Rowsley South by running over two sets of crossovers including the tightest one on Peak Rail to check the action of the adaptor gangway with the Mk1 RBR that 7828 was coupled to. All seemed to be OK although the amount of sideways movement is a bit alarming to watch close up! 7828 remained on the running set during Peak Rail’s half-term midweek running with further checks carried out by carriage manager Harvey Coppock, then on Saturday 20th a group of working members boarded to carry out some snagging jobs – nothing major mainly missing or loose screws – and importantly to enjoy a longer ride, this time to Matlock Riverside. 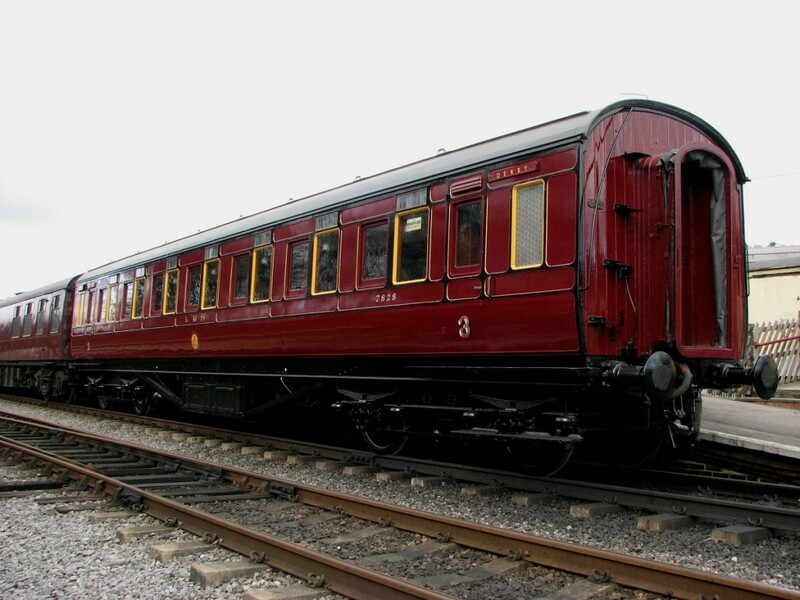 Everyone was of the same opinion – a smooth ride, perhaps slightly more bouncy than a Mk1, but LMS coaches are softly sprung; the steam heat worked and after some initial warm paint odours settled down; the brakes work – essential; the seating is very comfortable; and perhaps most important 7828 seems to make a big impression on all who see her, including the owner of a well known railway modelling company at Darley Dale who saw 7828 going past, had to come and have a look inside, and was most impressed. Further work to ease some of the droplights is needed, and the dynamo needs attention but otherwise 7828 should be fit for its first revenue earning run as a dining coach on Mother’s Day 6th March. 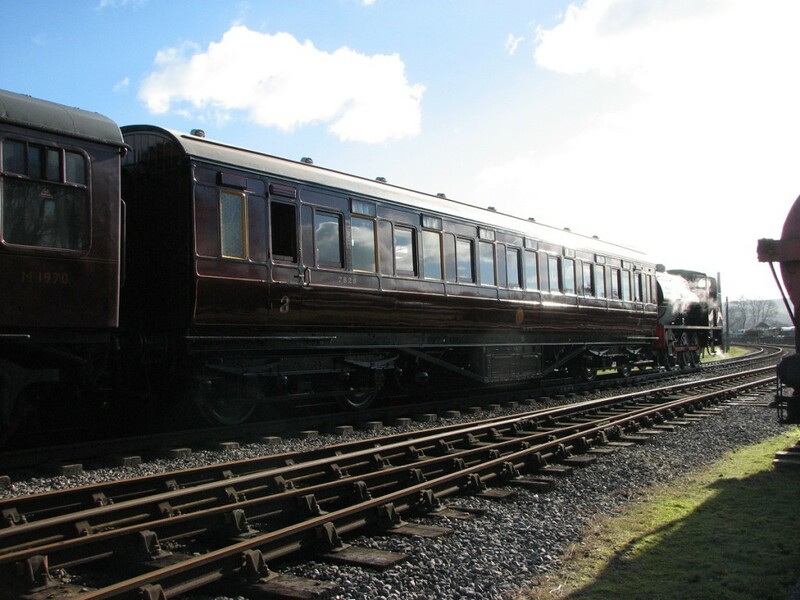 Our next project at Rowsley is a 1935 Third Open No.9125, just ten years younger than 7828 but with large windows and art deco interior very different stylistically which fits well with the aims of the LMSCA to show the development of the LMS coach.